"We are announcing the acquisition by Verizon of the Millenicom customers who use their service. There should be no interruption with your Internet connection, they will be in contact with you regarding plan options. There's a second email which "corrects" the initial one. The only substantive change seems to be that the change is no longer described as an acquisition. "This is to correct an earlier email that was sent to you regarding your service. Verizon Wireless, the carrier providing your wireless service, may be contacting you about options for your ongoing service. Going forward your relationship will be directly with Verizon Wireless. Millenicom will no longer have any role concerning your account and Millenicom does not now or will have any relationship with Verizon Wireless. Thank you and we apologize for any inconvenience this notice may cause." Millenicom's Verizon based service is popular with RVers, long haul truckers and people who live in locations where wired broadband isn't available. Millenicom initially offered 20 GB of LTE data for $69.99. In April the price was raised to $89.99 which is still a better deal than Verizon Prepaid Mobile Broadband which costs about the same ($90) for half the data (10 GB). At this point, Verizon doesn't seem to have contacted any of Millenicom's customers so we don't know whether Verizon will change plans and pricing. Hopefully current customer's prices will be grandfathered. I've contacted Verizon and will update this post if I learn more. I tried calling Millenicom to confirm the news and try to find out what happened but their phones, including a 24 hour tech support number, are answered with a message saying they are closed. The Millenicom Web site is up but all products are listed as with out of stock or not available, including the iPads which are T-Mobile based. For more about Verizon's acquisition of Millenicom's customer base see these DSL Reports Forum and RVNetwork Forum threads and stories on EVDOinfo.com and the RV Mobile Internet Resource Center. Update 10/26/14: Based on forum posts by Millenicom users on the DSL Reports Forum and the RVNetwork Forum no one seems to have been contacted by Verizon so far. According to a post on the RV Mobile Internet Resource Center all Millenicom accounts should continue working with unlimited data (no 20 GB cap) through at least Nov. 1. But what happens Nov. 2. is anybody's guess. Yeswap I have a question about 5 months ago I found a Tracfone. It had a bad battery so I couldn't really turn it on. So I bought a battery for it and it came yesterday and I started the phone up. Phone expires in April of 2016 in which I take to mean as long as airtime is put on the phone the number will stay good. I tried making a call but no airtime. The phone takes a sim so it's either running on At&t or T-mobile network. I tried putting a T-mobile sim but it says sim lock. The phone is a lil less than 2 years old. What is the best way to unlock it. Can I call Tracfone and they will give me unlock code for free since the phone number doesn't expire until April of 2016? Or should I see about doing online unlocking? Or would I have to add airtime then call Tracfone to get unlocked code? Best case scenario I would want to just call Tracfone now the way it is and get unlock code. TracFone doesn't unlock phones. You can call them and ask if the phone can be reactivated. If the phone wasn't reported as lost or stolen, you should be able to use it on TracFone. Well I guess on that note I will just resell it for Tracfone. I don't want to use it on Tracfone I got enough phone lines as is I just wanted to use it unlock for my T-mobile or H20 sim line. So do you think I can use a online unlocker? And how can I tell again what network the Tracfone I have uses whats the end code that lets me know? Thanks. If the SIM number starts with 890 141 it's on AT&T. If it's 890 126 it's on T-Mobile. No one can unlock a TracFone. Thanks anony at 2:20pm. Based on what you told me its on the At&t network. I would love to have this 3g phone unlock for my H20 sim that I only would mainly use for 3g pay as you go data. But if I can't online unlock it then I guess I'll just resell it. 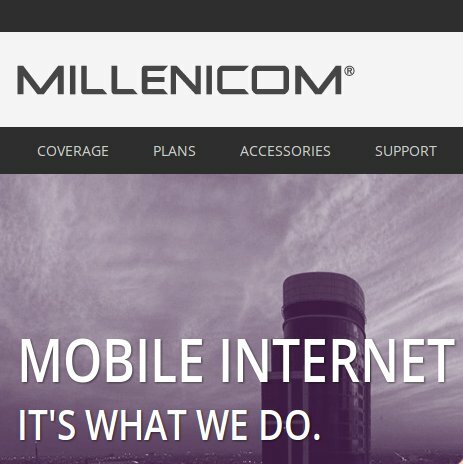 Doesn't Millenicom also offer service on T-mobile? Is that still up and running? Millenicom used to sell iPads that ran on T-Mobile. They are now out of stock on the Millenicom site. As far as I kow, if you have one the Millenicon service should still work with it.